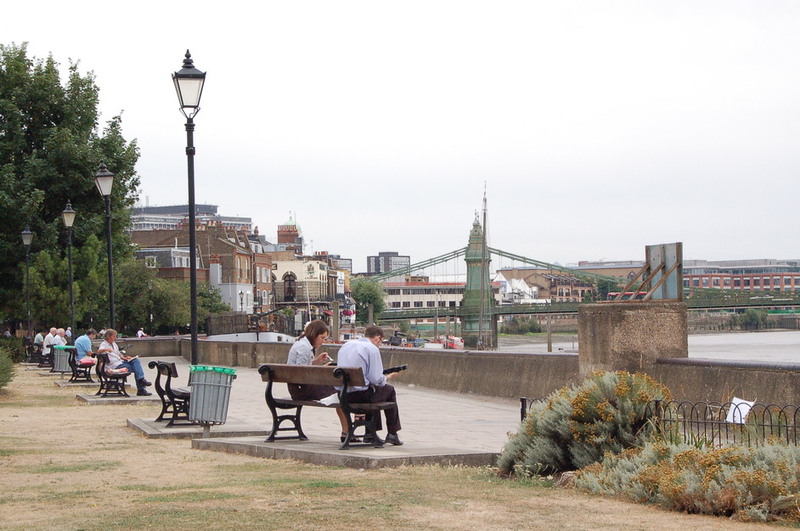 Furnivall Gardens offers a welcome green space along the River Thames, a short walk away from Hammersmith's busy King Street. This grassy stretch, popular as a pub crawl, sees drinkers strolling between watering holes - from the Blue Anchor to The Dove and beyond. It's a great place to come in the summer months as drinkers spill out from the riverside pubs and lie out on the grassy gardens. Rowing is also a popular sport around here with the Furnivall Sculling Club based on this stretch and, come boat race day, the place gets packed. Created in 1951 for the Festival of Britain, the gardens were home to the now disappeared Hammersmith Creek which ran almost to King Street and where fishing was carried out until the early 19th century. The creek was filled in in 1936 and now houseboats replace the fishing boats which once busied themselves in these parts. Furnivall Gardens gyms, sporting activities, health & beauty and fitness. What are the best dining options near Furnivall Gardens London? The best pubs near London Furnivall Gardens. Furnivall Gardens clubs, bars, cabaret nights, casinos and interesting nightlife. Where to have your meeting, conference, exhibition, private dining or training course near Furnivall Gardens. From cheap budget hotels to luxury 5 star suites see our special offers for Furnivall Gardens hotels, including Chiswick Rooms from 0% off.